« 13 August 2013 – It’s my Favourite!! I haven’t played with this paper yet – I love it though, and you’ve worked it beautifully into this sketch. Love the addition of the little pearls on the top flag! Thanks for playing along with us at MDS Monday! So glad you found us at MDS Monday! 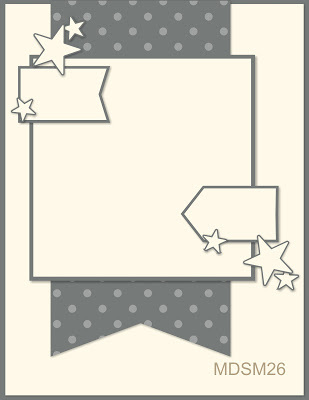 🙂 This is a fabulous card! 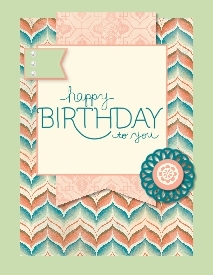 I took awhile to get into creating digital cards too – I reserved MDS for scrapbook pages… but now I LOVE doing cards. The elements on this are fab – especially that doily and the sweet little pearls. Thanks for sharing with us this week! Lovely birthday card! love the doily at the bottom and the pearls ! So glad you joined us at MDS Monday! I love that you used the Venetian paper – it is soooo beautiful! What a classy b-day card. Thanks for joining MDS Monday this week.